You just got that new car and want to make sure you that always have access to your vehicle. You have a few options, depending on your personal needs. 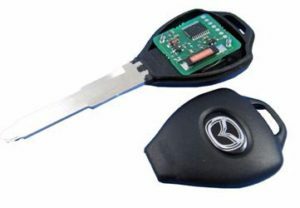 You can order a basic car key without a transmitter so that you will be able to open your vehicle if you lock yourself out. A basic car key is an excellent back up plan for those times when you accidentally left your keys inside of your automobile because it has the ability to open all of the vehicle’s doors; however it is impossible to use this key for the purpose of starting your engine. For that job it is necessary to spend a little extra to have a key made for your vehicle that has been programmed. Ever since the mid-1990s car keys have been produced with a special chip called a transponder. A transponder chip must be accurately programmed by a knowledgeable locksmith in Reno. Once the transponder has been programmed, you can use it to start your vehicle. The way it works is that the chip inside of the transponder sends a signal to your vehicle’s immobilizer which then disarms in order to allow your vehicle to start. As you perhaps can understand, it works sort of like an alarm system. This is an amazing security feature that is definitely worth the ext ra cost, and you may be a requirement to purchase a transponder key depending on the make, model and year of your vehicle. Transponder chips make it unfeasible for anyone to use any key but the one(s) in your possession to start your car. If you are the type of person who often loses items like their keys it may be helpful to have an extra transponder key in a safe place in your home. When you call your local automotive locksmith regarding auto key make or transponder keys, make sure that you have the following information readily available: your car’s year make and model, your car’s VIN and registration, as well as some personal identification to prove it is indeed your vehicle. This entry was posted in Locksmith Tips and tagged auto locksmith, automotive, automotive locksmith, key, lockout, locksmith, locksmith in reno, reno, reno locksmith, transponder, transponder key. Bookmark the permalink. ← Lock Change or Rekey?